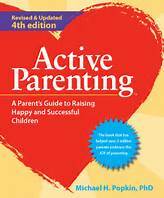 Active Parenting is for parents of children age 3-18 who are tired of being angry and stressed with their child(ren). Active Parenting teaches tips on how to avoid power struggles, set limits, and instill responsibility in your child. Classes meet for 6-weeks. Locations vary. Pre-registration required. Anyone is welcome to enroll in Active Parenting. Fee is $55, however a sliding scale is available upon request.